For Faust's much-touted return to the Met stage, the Met orchestra and Yannick Nézet-Séguin gave Gounod's score of their best, and brought out the best in it. There was fine singing, as well, with René Pape a standout as a magnificent Méphistophélès. Des McAnuff's production, however, lacked coherence, and lacked likewise a clear central idea to give either intellectual or emotional urgency to the drama. As a gentleman in front of me in line for champagne at the interval observed, it's hard to get romance going in a chemistry lab. If McAnuff had picked a chemistry lab of the early twentieth century and stuck to it--the Devil with an offer for unscrupulous career advancement, Marguerite as a bachelor girl secretary, perhaps--this might have been more effective. Going a less literal route could work as well. But the religious and romantic sentimentality of the central acts was left untouched, and, as far as I could tell, played without irony and without commentary, which made very little sense in this context. Also, I can't help but take issue with a production that chooses to evoke two of the twentieth century's greatest collective traumas--the First World War and the detonation of the atom bomb--and then not integrate them in the drama in a way that makes it clear how they affect the characters. Ian Bostridge and Thomas Adès created an extraordinarily rich, revelatory program at Carnegie Hall on Monday evening (complete program listing here.) From the outset, their partnership was characterized by a boldness in interpretation which brought intensity and intimacy in equal measure. John Dowland's "In Darkness Let Me Dwell," with its struggle for articulacy, its embrace of "hapless joy," set the tone for the evening; Adès' own "Darknesse Visible" was given without any pause, rising out of the eerie silence, shivering with sounds jarring and haunting. 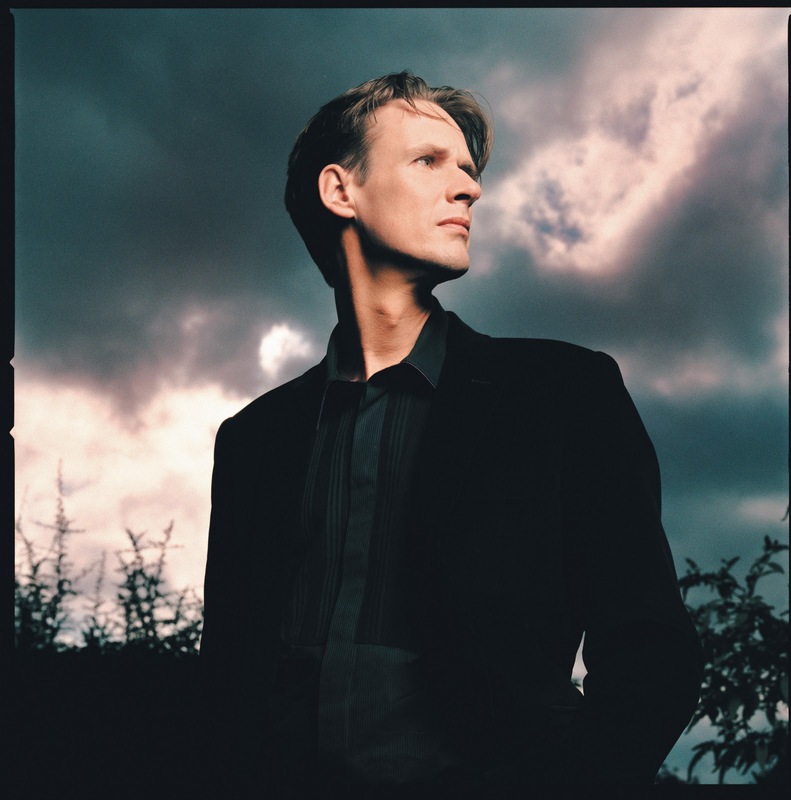 Bostridge's assurance with text and sense for phrasing brought an aptly hallucinatory feel to György Kurtág's Hölderlin setting. The liquid, exquisite opening of "Im wunderschönen Monat Mai" was brought out of the silence created by the previous piece, guiding us into a Dichterliebe that, initially dreamlike, would become increasingly like a fevered nightmare. The incisive, often ironic edge to Adès' playing supported Bostridge's savage interpretation, most notably in "Im Rhein, im heiligen Strome," in the delirious "Das ist ein Flöten und Geigen" and the bitter, furious attack of "Ein Jüngling liebt ein Mädchen." Bostridge's cycle was fascinating throughout, bringing a wonderful range of vocal colors and unexpected twists to the phrasing. "Die alten, bösen Lieder," with its anticipation of death, descended almost into sprechstimme, a chilling, comfortless eulogy. , it is presented as plausible that "Anges Purs" would be known by every French officer. Critical interpretations of the opera often cluster around the question: how did Faust achieve such status? Despite disappointment at last year's La Bohème, I went again on Tuesday, and I'm glad I did. My own enjoyment of the evening was augmented considerably by the fact that I was there in the company of a friend for whom this was her first opera. She loved it, and having someone to comment in the intervals on how impressive the street scene was, or how beautiful the lovers' reconciliation under the snow, helped me appreciate it as well. The "business" in Franco Zeffirelli's apparently deathless production seemed less fussy to me this year, too. Louis Langrée led the orchestra in a beautifully sensitive reading of the score, with nice shaping of phrases and real delicacy of touch. I was happy to hear the music receive the attention to detail I think it deserves (I still await a performance of Bohème where I actually hear the final chords of each act.) The quality of the vocal performances ranged from respectable to excellent; the latter adjective is awarded, not lightly, to Hei-Kyung Hong's deeply-felt Mimi. The opening night of the Liederkranz Foundation's production of Der Vampyr was a treat for me, and the rest of the audience seemed equally enthusiastic. I overheard a great many "I don't know this opera at all; do you know it?" 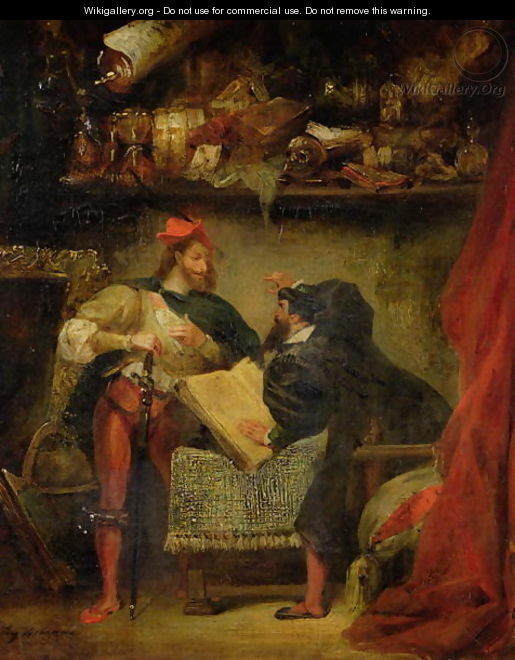 conversations in the foyer, but there was also the gentleman who, at the interval, was comparing its chord structure to that of Der Freischütz, and noting how indebted the role of the vampire was to that of Don Pizarro. Der Vampyr, an 1828 work of Heinrich Marschner is, of course, interesting for its place in the development of nineteenth-century opera, but it's also dramatically and musically engaging on its own terms; no passion for its much-touted anticipation of Wagnerian leitmotivs is required. With limited theatrical resources, but considerable creativity in using them, the Liederkranz crafted a fine presentation of this seldom-performed opera. The plot of Der Vampyr is based on an English short story, and follows a trajectory of high Schauerromantik. Exploration and explanation of the characters' emotions in romances and arias makes up a significant part of the score (although the most dramatic scenes are through-composed, moving away from the structure of alternating Sprechgesang, arioso singing, and chorus.) In contrast to the original material, and another opera based on it, Marschner's work (with libretto by his brother-in-law) ends not with madness and death, but with happiness for its young lovers, achieved through rejection of the ineffective patriarch's authority and the taboo of oath-taking. The triumphant moral is: ,,Wer der eig'nen Kraft vertraut, fest auf Gottes Hülfe baut, den kann Nichts erschüttern!" 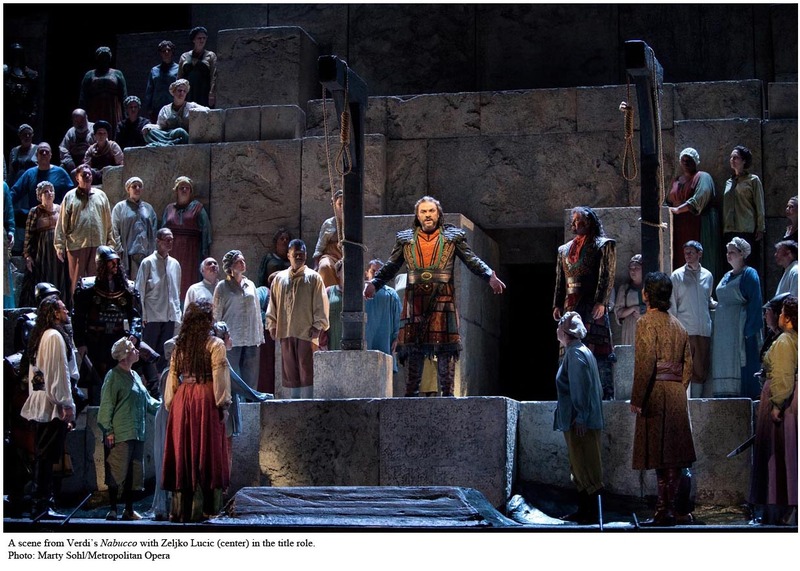 True confession: I like Nabucco. While it may not have the structural elegance and masterful pacing of later Verdi, I find its experimental exuberance very exciting. Not only is there lots going on in the score, but the libretto (by Temistocle Solera) contains fascinating layers of ambiguity and ambivalence. So I got myself into standing room for the last performance of this season's run of the opera at the Met. It was a fine musical evening, weighed down somewhat by the ponderous production. Paolo Carignani and the Met orchestra took the music seriously and played with admirable emotional sensitivity (I loved the gorgeous cello solos especially.) I thought the tempi a little slow at the outset, but that may have been biased by the desire to have the coughers and pawers-in-plastic-bags around me shut up. And Zaccaria does go on. Since I've already written a mini-essay on Nabucco's wealth of interesting ideas about religion, political power, and gender (as perceived by me) I'll limit myself here to saying that I didn't see exploration of any of the above by Elijah Moshinsky's production. This may have been partly due to careless revival direction; the blocking and gesturing flirted dangerously with caricature. Having the Israelites and Babylonians with their characteristic architecture on opposite sides of the Met's giant turntable did, I suppose, suggest parity or mutual dependence between these apparently antithetical political and religious systems... but that's being generous. The singers, to their credit, managed to transcend this awkwardness to a significant degree. Elizabeth Bishop, as Fenena, warmed up to display a pleasingly rich, dark-hued soprano, and her expressive singing helped make Fenena credible as a soprano with a backbone. Carlos Colombara sounded a bit dry at the top of his range, but he had excellent gravitas and admirable vocal agility as Zaccaria. This was my first time hearing Yonghoon Lee in a full role, and I was impressed from his first notes onward by his sweet, bright-toned tenor. More variation in coloring might have helped give the role dramatic depth, but he was a pleasure to hear. Elisabete Matos, as Abigaille, had the unenviable task of taking on one of those roles to which the adjective most frequently applied is "impossible." Having heard a hum of excited anticipation, I was somewhat disappointed, but I don't have comparative evidence. I thought her pitch could turn erratic and her sound rough at the top of her range, but she had thrilling chest tones, and really impressive agility on the passages of runs required. Also, Matos used her voice adventurously, diving across octaves with reckless commitment. As a coherent dramatic portrayal, I felt the Nabucco of Željko Lučić came together better. He sang solidly throughout his range, authoritative and compelling in the first half, and with touching lyricism in the scenes where the deposed emperor battles for his sanity. The production limited the dramatic vocabulary of the role sadly, but I was still impressed. The non-eponymous central character of Nabucco, though, may be the chorus. Of course, there is "Va, pensiero," and it was introspective and impassioned and lovely, but there is also a lot more. As Israelites and Babylonians, the chorus comments, exclaims, supports, rebels, and judges throughout. And the forces of the Met did so very well, with incisive, expressive singing, perhaps most strikingly in the final chorus to Jehovah, sung without the orchestra. It was a treat to hear the excellent Met chorus, for once, in a starring role. Seeing Nico Muhly's Dark Sisters at Gotham Chamber Opera was an unexpected opportunity, and, as it turned out, a deeply unsettling experience. The plot could be described as a fantasy on themes from the headlines, exploring and imagining narratives behind the 2008 raid which took 400 children from a Texan FLDS community into custody, following allegations of physical and sexual abuse. Transforming these events and the commentary on them into an opera has yielded intriguing results. Muhly appears deeply aware of the (problematic) histories of opera's focus on the suffering and singing of women. Dark Sisters is a work which is intensely focused on both, but also on the power of histories and myths--individual and collective--and on the tense issue of how narrative is controlled, often by men for women. With the first explosive, destabilizing contact with the outside world before the curtain's rise, the music is left to deal with the tensions resulting from, and revealed by, the dramatic event. The music given to the small ensemble (led sensitively by Neal Goren) is strongly atmospheric, and more than a little unsettling. Strings murmur ominously; a solo cello wails. There are strong contributions from grouped and solo woodwinds as well (nice oboe work) with brass only occasional, but dramatically effective. The ensemble also features a harp, a piano, chimes, and a wind machine. 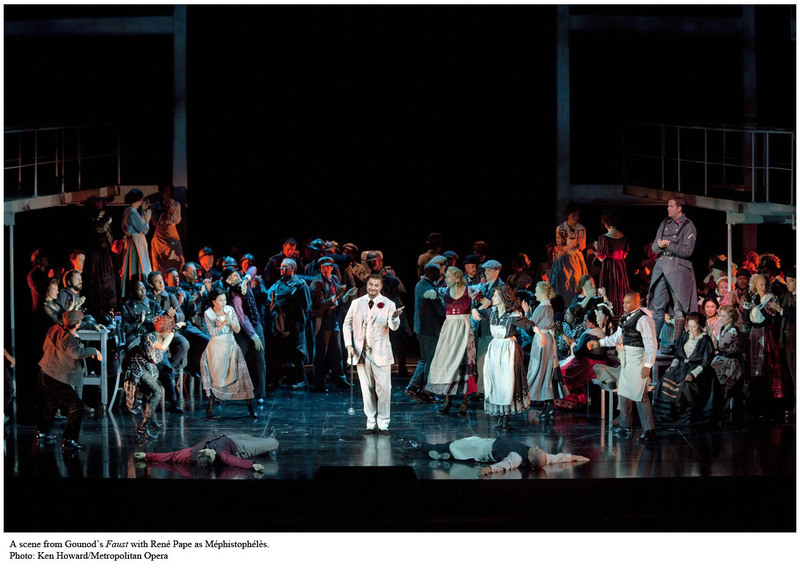 One curious characteristic of the opera is that, although the music certainly changes in texture to indicate shifts in mood and atmosphere throughout, there is not a strong evolution in the style of the music to follow the crisis-punctuated disintegration of the community. The precise, poetic libretto of Stephen Karam works symbiotically with the music; it might seem exaggerated or heavy-handed as a play; the music gives it nuance and ambiguity. The nature of the drama works against both dramatic eruptions and strongly individualized voice writing, although the latter does, as it were, break through. The set was simple, and usually empty, with a raked stage colored like the red Texan earth, and projections depicting the changes in a large and troubled sky. In fine operatic tradition, portents in nature echo the cataclysmic events of the plot; the distressed opening ensemble takes place during a lunar eclipse. Movements throughout are strongly stylized; changes from this deliberate and limited vocabulary of physical expression signal trouble (Rebecca Taichman directed, and made the choreography clear and expressive.) The first act takes place entirely within the household, and within the women's imaginations. In the second act, the opera audience is suddenly a television audience confronted with an all-too-familiar invasive news program. The role of the prodding reporter is doubled with that of the prophet (reinforcing the theme of the male control of narrative, and the breakdown of that control.) The wives grouped together in the interview room were seated on stage; projections were used to show us the probing, interpretation-imposing closeups of the TV reportage as they sang. It is in this scene that the final fracturing of the community begins; when the curtain falls several scenes later, the long-term effects of this fracturing are still unclear. The melodramatic plot of Adriana Lecouvreur is easily parodied, but its music is less easily dismissed. With fine and passionate singing, Francesco Cilea's verismo concoction was given vivid life by the Opera Orchestra of New York. Alberto Veronesi led the orchestra with fine feeling for the energy and emotion of the score. A brisk pace and light touch in the first and third acts, especially, helped set off the emotional crises in which Veronesi was not afraid to luxuriate (not to say wallow.) There were some issues of clarity, and the orchestra was perhaps, on the whole, a bit loud, but it was a fine performance. The New York Choral Ensemble did a creditable job with the difficult task of being an excitable crowd while in serried ranks on bleachers. The self-conscious historical detail and oft-repeated motifs of the score might have faltered in their effect were it not for the accomplished and emotionally intense performances of the singers. Angela Gheorghiu displayed vocal daring--and temperament to spare--as the titular diva, and Jonas Kaufmann sang the role of her cavalier thrillingly. If you really feel you need a synopsis of the opera, you can find one here; there's also a handy diagram which sums things up even faster. Adriana's theatrical colleagues acquitted themselves respectably enough. Craig Hart, once fully warmed up, was a convincingly autocratic prince, if not a particularly threatening one (his role suffers somewhat in concert, as it usually involves a considerable amount of stage action. The same is true of the abbé; my impatience with the latter is probably due more to role than singer.) Ambrogio Maestri made an excellent Michonnet; the buffo leanings of the role were minimized in his warm and sympathetic portrayal of Adriana's confidant. His baritone was warm and supple, and he sang expressively throughout, with a poignant "Ecco il monologo"; his Act III admonishment to Adriana ("Noi siam povera gente") I found very moving. Anita Rachvelishvili gave a spirited and forceful performance as the Principessa di Bouillon. The size of her voice was impressive, and her diction was good, but she struggled with intonation problems throughout the evening. Still, her dramatic commitment was fierce, and she had good chemistry with the other principals. In his opening remarks on Sunday evening, Barry Tucker thanked the loyal audiences of the Richard Tucker Foundation Gala who made the concert a tradition. From the comparatively cheap seats, I enjoyed it for the first time, (upgrading from the Foundation's free citywide concerts.) The all-star lineup had undergone some serious shuffling in the weeks and even days preceding, but I had no reason to complain of the final results. Angela Meade was feted as the Tucker Award winner, and surrounded by colleagues of international stature (Opera Chic provides additional background.) The chosen selections relied more on star power than subtlety for their success, but the latter was not wholly lacking, and the former was often a delight. Members of the Metropolitan Opera orchestra provided sensitive support, playing with fine energy throughout under the leadership of Emmanuel Villaume. Their opening bacchanal from Samson et Dalilah was played with panache, employing sensual rubato in the woodwinds and embracing the clashing of brass and cymbal with gusto. After this orchestral prologue, the evening was turned over to the singers. The program seemed to be organized more around the singers' need for rest than around shared themes in the selections, with occasionally curious results. The overall quality, however, was high. Verily, Gentle Readers, opera follows me around, even into the fastnesses of the library. I have been spending the past week immersed in the historiography of the French Revolution, and uncovering some intriguing aspects of opera history in the process. The eighteenth-century opera house was a theater of political representation and an arena for political debate; the disappearance of the ancien regime glories of Lully and Rameau were precipitated more by changes in public mood than changes in musical taste. The public debates over the style of Gluck vs. that of Piccini were as heated as more overtly political disputes (if not quite at the level of the mid-century querelle des bouffons.) The 1774 premiere of Iphigenie en Aulide caused furor not only because of its style, but also because of its subject matter. (Go here to hear Clytemnestre defy the authority of a king and father.) Piccini's rococo dramas were immensely popular. His Italian style, however, was decried by those who wanted natural simplicity and national character in their music. Here an excerpt from Piccini's 1760 work "La Cecchina, ossia la buona figliuola:"